Saudi football has been infected with the Racism disease. Many players, officials, and fans find themselves abused because of their skin color, the area they come from, or religion. This is a serious issue keeping in mind the popularity of the game and the influence it has on the Saudi Community. Racism in football includes discrimination in recruiting players, fan violence, and prejudice towards family names and tribes. Two weeks ago Al Hilal team were punished by the football monitoring authority for the misbehaving and racist comments made by their fans when playing against Al Etihad. Was that fair for the team, in the end they do not choose their teams. Educating fans to be more tolerant, enjoying the game while still holding on to the competiveness of the game is vital to maintain the true essence of football. We need football clubs to use the power that lies in their hands to educate player, fans, and the entire community about the importance of equal opportunities. A successful organization in the UK has found a way to tackle this issue by building a community that supports and fights racism within football. They have been campaigning Let’s Kick Racism Out of Football since 1993 and have included events for the disabled, women, different faith groups, and have also created special school packages. All 92 English clubs hold activities during the Kick It Out’s One Game, One Community weeks of action. During these weeks thousands of activities take place in clubs all over the country to help bring the community together, and have a positive impact. Footballers are role models, the young generation dress like them, shave their heads like them, they even drink Pepsi or Coke depending which player was featured in the ad. Authorities should channel this into getting those role models to be the positive change in the community. 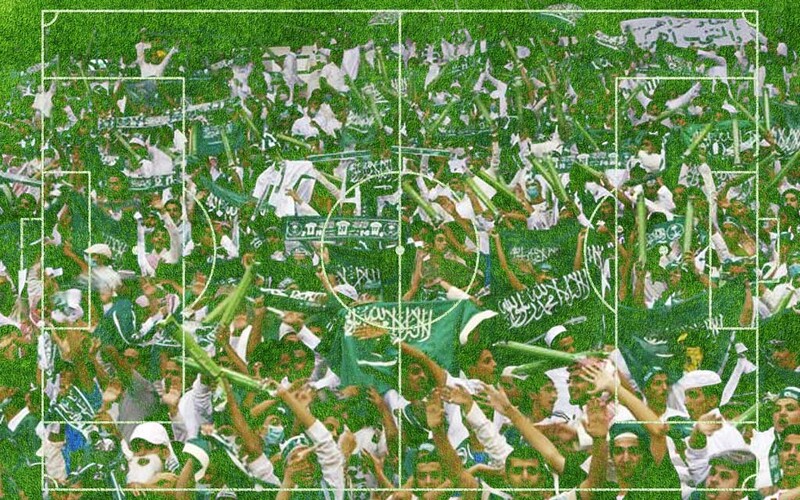 To create a racist free football environment, The Saudi Arabia Football Federation should look at ways to adopt what Kick it Out has done. As a first step to overcoming challenges, successful partnerships can lead to achieving successful results. Kevin Kollman who spoke this morning at the University of Westminster said: Kick it Out is more than willing to work with international organizations, give them support and publicity to do the same in their country. People shouldn’t be prohibited from perusing their football desires, whether it’s playing, coaching, or cheering due to discrimination. Let’s Kick Racism out of Football! This entry was posted in London, Saudi by sousalz. Bookmark the permalink.